Train smarter and discover the winner within yourself with Polar Vantage V, a premium multisport watch designed for pro athletes – and for anyone who trains like a pro. 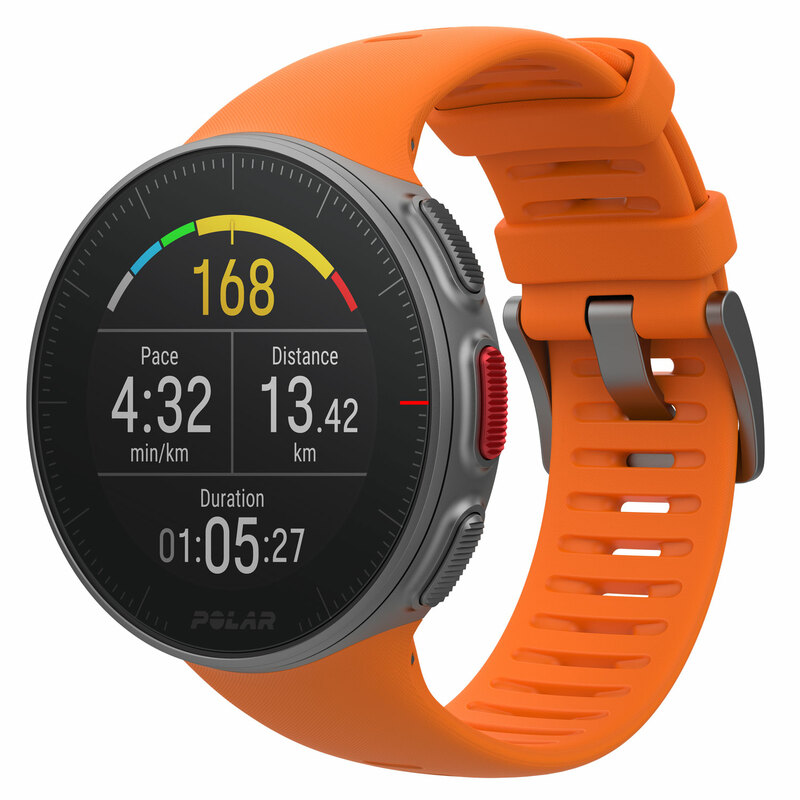 If you’re looking for a cutting-edge waterproof companion for triathlon or marathon training, Polar Vantage V is the perfect match. The latest wearable tech innovations make sure Polar Vantage V gives you all the accurate data you need to maximize your performance. If you want to train like a pro, you need to recover like a pro. Polar Vantage V helps you find the right balance between training and rest and stay injury-free with a uniquely holistic training load and recovery tracking solution. The new Training Load Pro™ gives you a comprehensive view on how your training sessions strain your body in different ways. See whether your body is ready for training and get recovery feedback with Recovery Pro™. 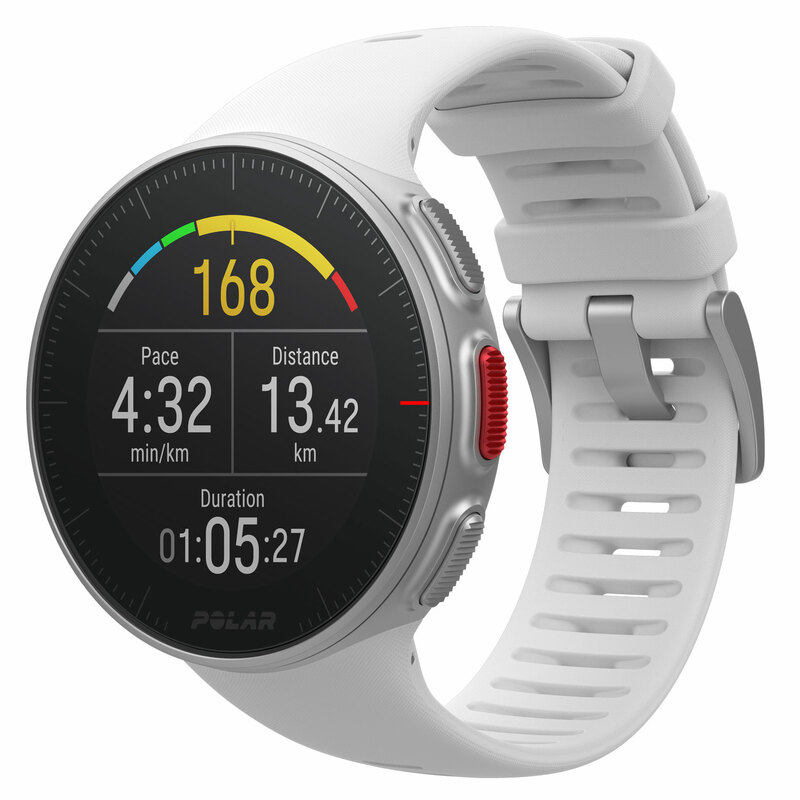 When you train with Polar Vantage V, you get access to the full Polar ecosystem where everything is connected. All your training data is conveniently available on one platform in Polar Flow. You can also automatically sync your training data to other services such as Strava or TrainingPeaks. Polar Vantage V supports over 130 different sports. Add your favorite sports to your sports watch in Polar Flow. Follow your progress in the pool – Polar Vantage V automatically detects your heart rate, swimming style, distance, pace, strokes and rest times. Distance and strokes get tracked also in open water swimming. Stay connected with notifications from your phone. Get alerts for incoming calls, messages, emails, calendar events and more. Get an estimate of your running VO2max and see how your running performance is developing. Plan all your training from individual workouts to full season plans. Share your training data with your coach or PT with the free Polar Flow for Coach service. SShare your highlights, join groups and let the Polar Flow community help you on your way to your goals. Always on color touch display with Gorilla Glass. Size 1.2”, resolution 240 x 240. 320 mAh Li-pol battery. Battery life up to 40 h in training mode (GPS and wrist-based heart rate). Integrated GPS & GLONASS. Assisted GPS for fast fix times. Barometric altitude, incline, ascent and descent. Bluetooth Low Energy. Custom USB cable for charging and data synchronization. Time & date. Alarm with snooze. Compatible with Polar BLE heart rate sensors. Polar Vantage V introduces the next generation of heart rate monitoring: Polar Precision Prime sensor fusion technology. This innovation combines optical heart rate measurement with skin contact measurement in order to rule out any motion artifacts that might disturb the heart rate signal and produce unreliable readings. This way, your heart rate gets tracked accurately even in the most demanding conditions and training sessions. 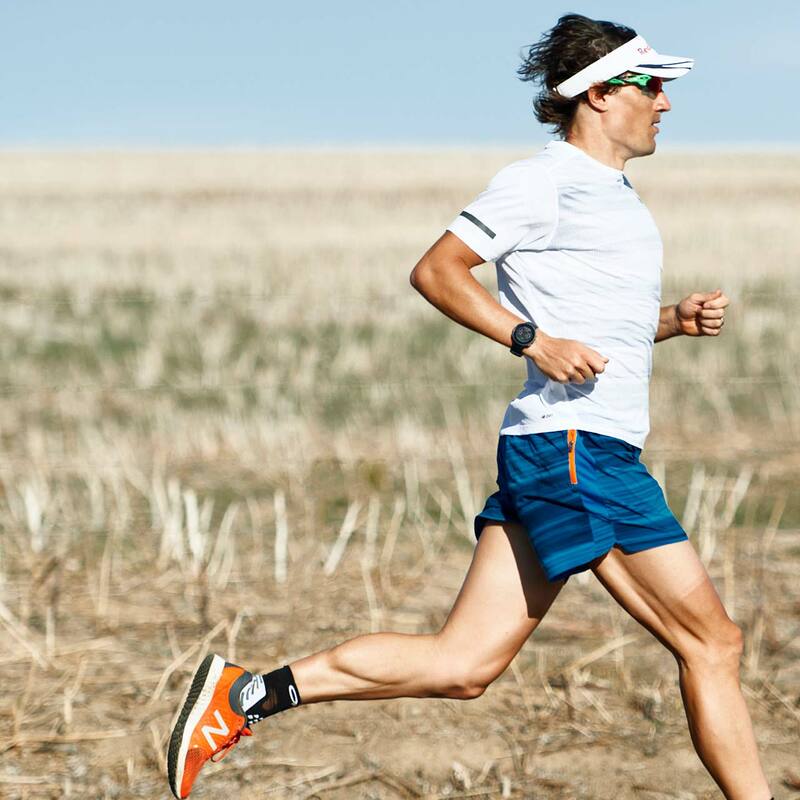 Polar Vantage V is the first multisport watch to measure running power from the wrist. Running power is a great complement to heart rate monitoring – it helps you monitor the external load of your running. Power responds to changes in intensity faster than your heart rate, which is why Running Power is a great guiding metric in interval and hill sessions. You can also use it to maintain a steady effort level during your run, for example in a race. The calculation is done with Polar’s proprietary algorithm, and it is based on your GPS and barometer data. Polar Vantage V uses Running Power to calculate your Muscle Load, the load that your training session puts on your joints and your muscular and skeletal systems. When you’re training to achieve a specific goal, you need to find the balance between different types of training and rest. Polar Vantage V monitors your training load from each training session, measures your daily and long-term recovery levels and helps you recognise your personal limits by telling you whether you have been training too much, too little or just right. Polar Vantage V gives you a personalised training recommendation for each day and warns you when you are at risk of overtraining, injury or illness. It can also recognise if you have too much stress from something else than training and will motivate you to keep training if you start to lose your momentum. When you train, the different systems of your body get strained. With Polar Vantage V, you get a holistic view on how your training sessions strain these different systems and how it affects your performance. Training Load Pro gives you a training load level for both your cardiovascular and your musculoskeletal system (Cardio Load and Muscle Load), and also takes into account how strained you feel (Perceived Load). When you know how strained each body system is, you can optimise your training by working the right system at the right time. You get a numerical value, verbal feedback and a visual bullet scale for each training load. Your Cardio Load value tells you how much strain your training session put on your cardiovascular system. It is calculated after every workout from your heart rate data. Your Cardio Load is calculated as training impulse (TRIMP), a commonly accepted method to quantify training load. Muscle Load tells you how much your muscles were strained during your training session. Muscle Load helps you quantify your training load in high-intensity training sessions, such as short intervals, sprints and hill sessions, when your heart rate doesn’t have enough time to react to the changes in intensity. Muscle load shows the amount of mechanical energy (kJ) that you produced during a running or cycling session. This reflects your energy output (instead of the energy input it took you to produce that effort). In general, the fitter you are, the better the efficiency between your energy input and output. Muscle Load is calculated from your power data, so you only get a Muscle Load value for your running workouts (and cycling sessions if you’re using a cycling power meter). Perceived Load is a value that takes into account your own subjective experience of how demanding your training session was. The key to finding the balance between training and rest is learning to listen to your body and to combine your subjective feeling with the data you get from your Polar Vantage V. This is something that athletes learn by doing, and your training data will help you learn to know your body better. Your Perceived Load is quantified with Rate of Perceived Exertion (RPE), a scientifically accepted method to quantify training load. Your Perceived load levels indicate how hard a training session was compared to your session average from the past 90 days. In addition to the training load from individual training sessions, you can follow how Cardio Load builds up over time – the relation between strain and tolerance. Strain shows how much you have strained yourself with training lately. It shows your average daily load from the past 7 days. Tolerance describes how prepared you are to endure cardio training. It shows your average daily load from the past 28 days. To improve your tolerance for cardio training, slowly increase your training over a longer period of time. Your Cardio Load Status looks at how your Strain compares to your Tolerance and estimates how your training is impacting your body. Polar Vantage V helps you prevent overtraining and injuries with a unique recovery tracking solution. It actually measures how recovered your body is and offers you recovery feedback and guidance. You can measure your daily cardio recovery level with the Orthostatic Test (Polar H10 required). It is based on your heart rate and your heart rate variability, and it takes into account all stress factors of your life, including stress from training and stress caused by other aspects of life, such as poor sleep or work pressure. Recovery Pro combines your long-term recovery data with your long-term training load to monitor the balance between training and recovery. This will help you recognise your personal limits by showing whether you’ve been training too much, too little or just right. With Recovery Pro you get feedback for both your current cardio recovery level and your longer-term training and recovery balance. Polar Vantage V combines these two into a daily personalised training recommendation.